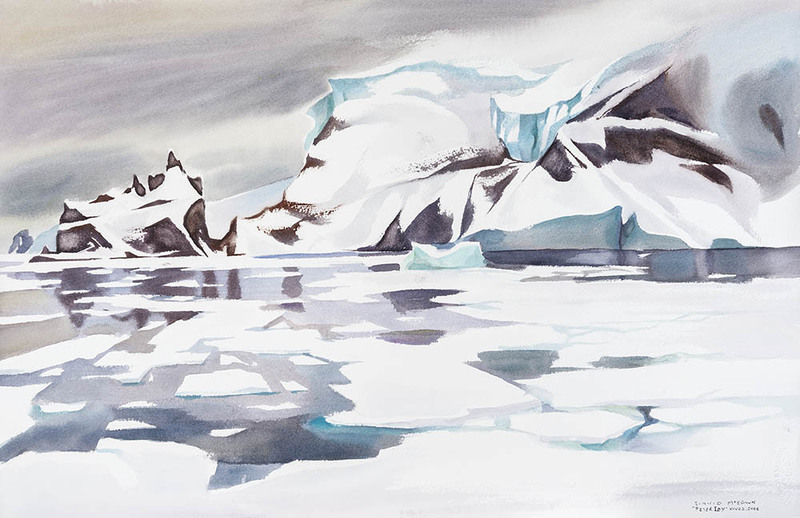 Through painting, video and photography, Canadian artist David McEown continues his long term project to document Antarctica and the Sub Antarctic islands sharing through presentations and art shows the beauty but yet changes that are occurring in one of this earth’s last remaining wilderness. 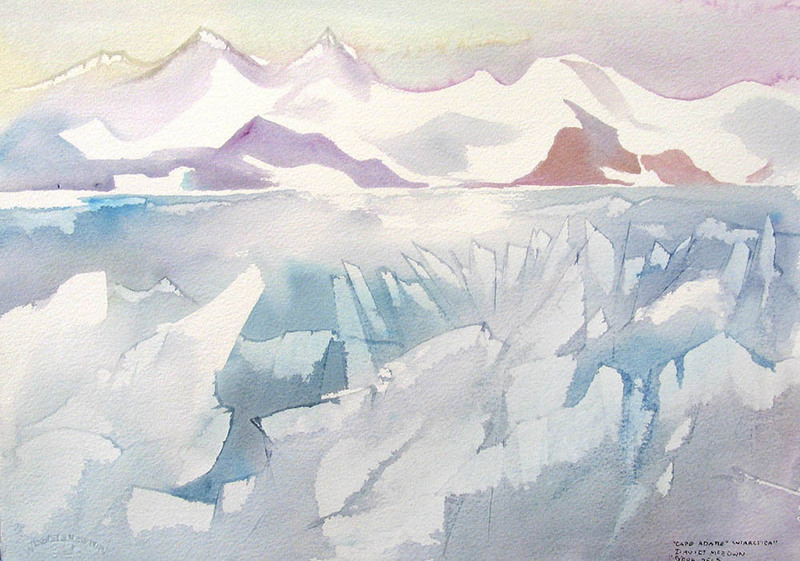 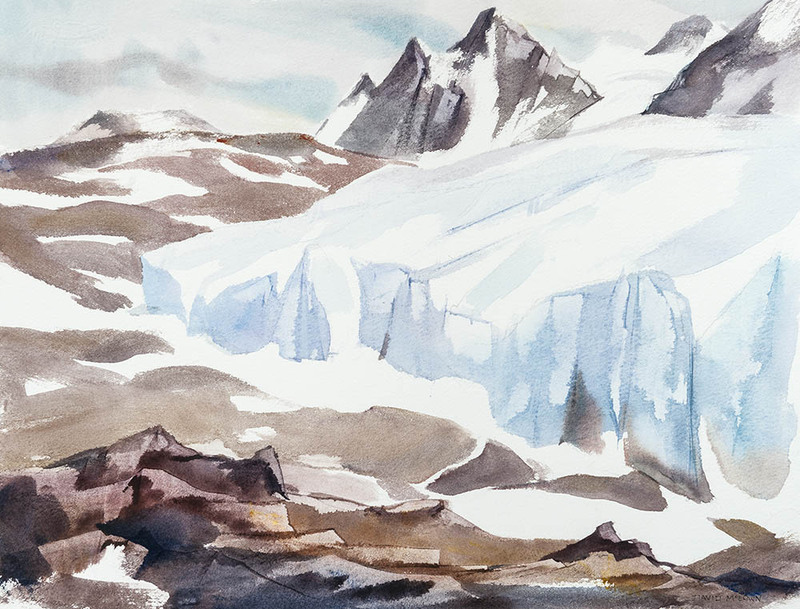 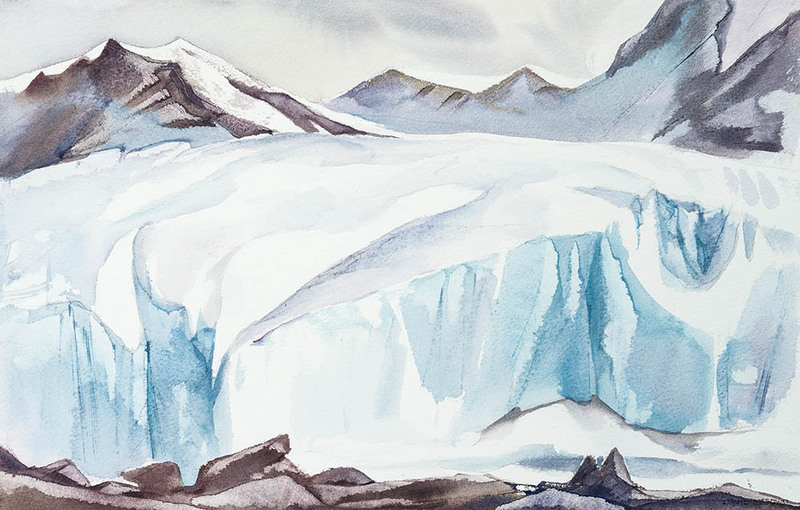 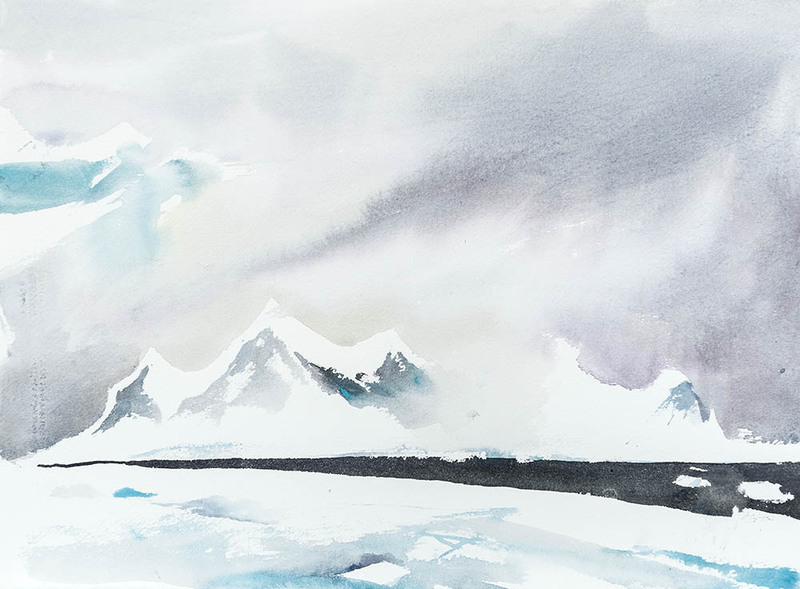 For more than now 11 years he has painted on location in watercolour(watercolor) in extreme conditions in Antarctica, often letting the watercolours freeze for chance effect. 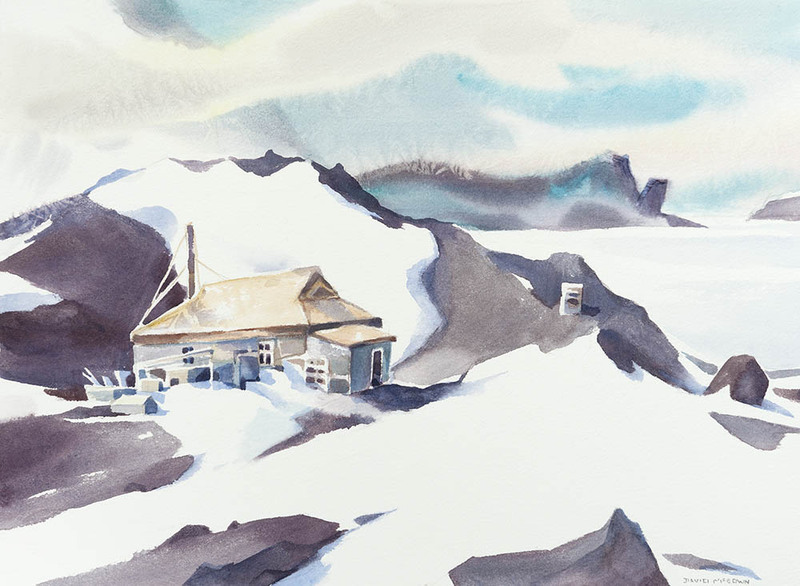 This Gallery displays watercolour (watercolor) painting from, expeditions to the Ross Sea, with painting along the phantom coast, Peter the First Island, Cape Adare, the Ross ice Shelf, the Dry Valleys, Cape Roydes, Shackletons Hut , andMount Erebus. 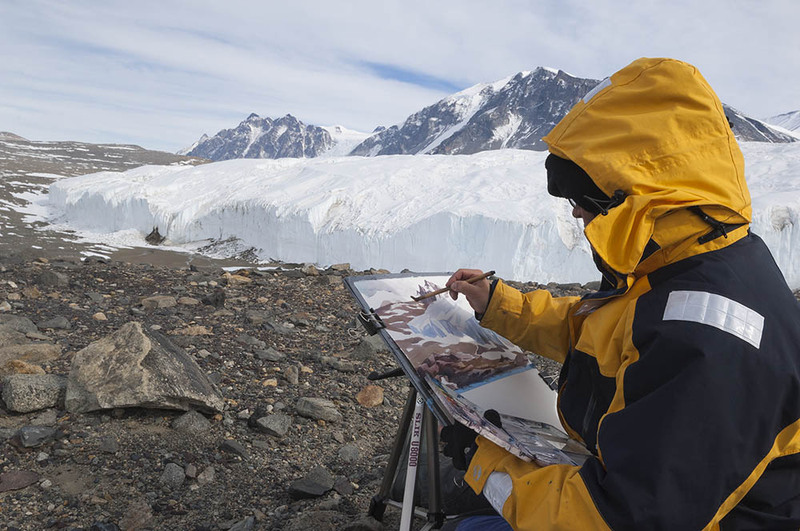 Painting Locations , Ross Sea, Phantom Coast.